The Elham Community includes a cohort of seventy-eight educational innovators from Palestinian schools together with a large community of partners who are actively engaged in an inclusive multi-tier multi-sector national and local partnership structures that aim at securing Elham’s deeper and more sustainable rooting and integration into the education and health systems. The Seventy-eight innovative initiatives undertaken by students, teachers, principals and counselors from schools across Palestine - aimed at nurturing students skills, enhancing their learning capacity and their psychosocial well being; creating an atmosphere to stimulate and foster a range of talents, instilling civic and social values and encouraging responsible behavior - have made a significant contribution towards enhancing the environment of Palestinian schools and student progress on many levels. The community of Elham’s partners has played a pivotal role in promoting and supporting Eham’s innovative initiatives and facilitating the mainstreaming of Elham within the education and health systems. The proactive and sustained role played by Elham’s community of partners has helped enormously in securing Elham’s credibility, sustainability, and systemic impact. The community of partners includes: The Network of Elham local committees: two hundred field cadres from the educational, health, youth and women (civil society) sectors representing all districts of Palestine, work to cultivate local community ownership of Elham across the country. 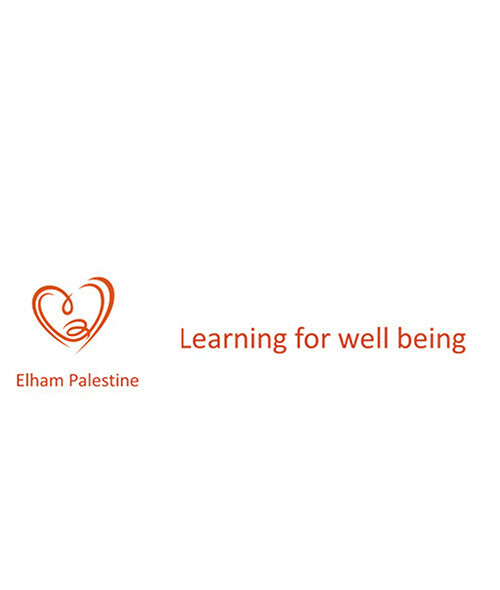 Elham local Evaluation Committees of over ninety members have done a remarkable job in identifying innovative initiatives from various districts, by conducting local screening and site visits for the hundreds of applicants for Elham Palestine. The Elham Youth Panel - 25 student leaders 15 -18 years old, participate on equal footing with the Expert Panel to develop selection criteria and conduct face to face interviews with shortlisted candidates. The Elham Expert Panel, consisting of director generals from education, health, youth, and social welfare ministries as well as senior educators from various universities in Palestine, works with the Youth Panel towards securing a transparent nomination and selection process in both Gaza and the West Bank. The Elham Executive Committee, which consists of official senior level executive representatives from Elham partner organizations, is responsible for harmonizing, facilitating and integrating at a national level the work of Elham’s local committees. The Elham Steering Committee, consisting of deputy ministerial level representatives from Elham System partners offers guidance and direction to the Elham process as well as institutional legitimacy and systemic integration and mainstreaming. Elham Partners Council which consists in addition to the Secretary General of the Universal Education Foundation, the ministers of Education, Health, Social Welfare, Youth and Sports, the CEOs of the Welfare Association, Paltel Group, Palestine Investment Fund and the Chairman of the Palestine ICT Association of Companies, provides the national partnership platform for Elham and signifies the fact that government, business, and civil society work hand in hand to transform the Palestinian education system. The council has managed to secure the official endorsement of the prime minister for Elham Palestine as the country’s incubator/umbrella for educational innovation and entrepreneurship. Elham has gained the esteem, respect, and recognition of leading organizations around the world. Selected examples include OECD, WINGS, European Foundations, International Partnership Network, Queen Rania Conference for 6 Synergos Institute, and the European Institute of Education. Elham is the winner of the 2009 Global Best Award for an Innovative Partnership in Learning and Well Being.